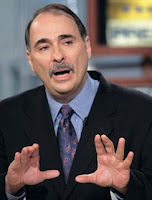 Middle East Perspectives by Rick Francona: Mr Axelrod - were you at the same meeting as Obama? Mr Axelrod - were you at the same meeting as Obama? White House senior adviser David Axelrod - as well as a host of other White House advisors - has declared President Obama's recent trip to Europe a major foreign policy success. Success, I guess is in the eye of the beholder. Let's talk about President Obama's efforts to garner more support for the war in Afghanistan. One of his primary efforts was to gain increased European contributions - troops and money - to NATO operations in the south Asian country. The European response to the President was laughable. "And then at NATO, his plan was unanimously embraced, and nations stepped forward with expressions and offers, tangible offers, of support -- thousands of military personnel to help secure the election on August 20th, which is the next big hurdle we have to clear in Afghanistan, thousands more personnel to train police and the Afghan army. "And so there's cash, as well, to help pay for the development of the Afghan army, and half a billion (dollars) to help rebuild the Afghan economy. "So there was enormously positive reaction to the president's plan there, and now we have a unified front. Every NATO nation acknowledged the fact that we have a joint concern and a joint interest in repelling Al Qaeda and in making this mission work." A bit overstated. Our NATO allies have pledged to send (let's see if they actually show up) 3,000 troops to Afghanistan to secure the August elections - not fight the war - as well as 300 new police trainers and 70 embedded training teams for the Afghan army. That's about 4,000 troops total. The European troops will not be there in a combat role taking on the Taliban and al-Qa'idah - you know, the enemy. The soldiers will arrive in country with a host of restrictive rules of engagement that make them little more than window dressing. See my earlier comments on Germany's contributions to the effort: German soldiers in Afghanistan - don't shoot the bad guys! By way of contrast, the United States has recently committed over 20,000 additional troops to the fight in Afghanistan. "First of all, our NATO allies do have troops in Afghanistan. There was a tremendous response to the president's new strategy in Afghanistan. One of the problems we've had in Afghanistan is we haven't had a focused strategy, and therefore it was hard to sell that strategy. Obviously you haven't sold it yet. The European leaders, unlike their flocks of adoring Obama fans, have ceased to be enamored with the rhetoric from the American president. The promise of $500 million dollars and only 4,000 non-combat troops was a gesture to prevent Mr. Obama from being even more embarrassed at his failure to rally the allies to make a real commitment to the war. This after Mr. Obama called his own country "arrogant," a statement that did not seem to move the Europeans. Mr. Axelrod, you're a smart political operative, but even you can't spin this into success.